He was an orphan with a troubled childhood who became America’s first great lyric poet, the inventor of the modern detective story, a pioneer of science fiction, and the master of the macabre. Over the course of just forty years, Poe became the first internationally influential American writer. 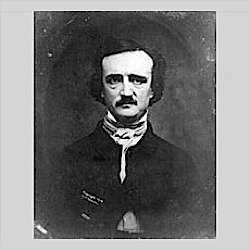 With his stories “Murders in the Rue Morgue,” “The Mystery of Marie Roget,” and “The Purloined Letter,” Poe became the father of modern detective fiction, but that’s not all. He also wrote science fiction. “A Descent into the Maelstrom” and “The Facts in the Case of M. Valdemar” are just two of Poe’s stories that expanded the style and creativity of the science fiction genre. Besides writing prose and poetry, Poe was a literary critic who got into plenty of hot water with his literary brethren because of his scathing reviews of their work. 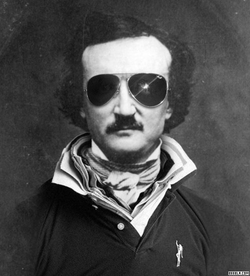 Poe was fearless when it came to ridiculing the works of other writers. 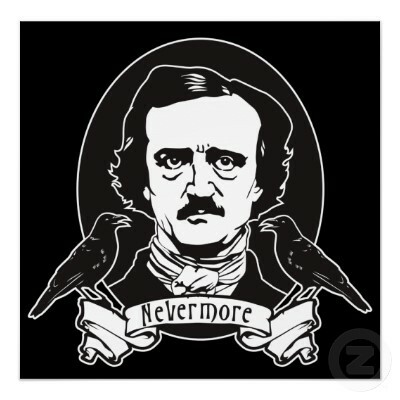 Clearly, Poe was a renaissance man when it came to his explorations of the written word. When and where did Poe live? • Returned to Richmond, again, in 1835-1837, later brought his cousin Virginia and aunt Maria to Richmond and married Virginia. • Moved to Fordham (now in The Bronx) with his wife and mother-in-law because he believed the country air will improve his wife’s health. 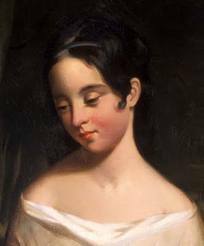 She died there in 1847. • Died in Baltimore, while traveling, October 7th, 1849…still there today! ‘‘The Cask of Amontillado’’ was first published in the November 1846 issue of Godey's Lady's Book, a monthly magazine from Philadelphia that published poems and stories by some of the best American writers of the nineteenth century, including Nathaniel Hawthorne Henry Wadsworth Longfellow, and Harriet Beecher Stowe. The story next appeared in the collection Poe's Works, edited by Rufus W. Griswold, Poe's literary executor, in 1850. By the time Poe wrote this story, he was already nationally known as the author of the poem ‘‘The Raven’’ (1844) and of several short stories collected in a book called, simply, Tales (1845). These earlier stories were widely reviewed and argued over by critics who found them brilliant and disturbing, and their author perplexing and immoral. Although "The Cask of Amontillado'' was not singled out for critical attention when it appeared, it did nothing to change the opinions of Poe's contemporary admirers and detractors. 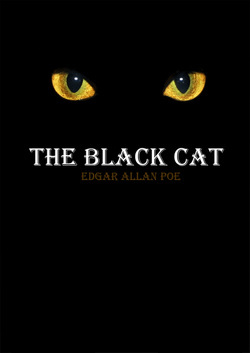 Like Poe's other stories, it has remained in print continuously since 1850. 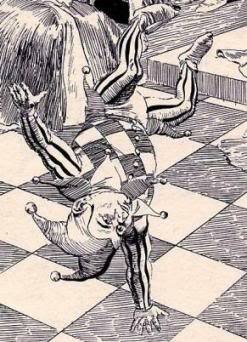 The story is narrated by Montresor, who carries a grudge against Fortunato for an offense that is never explained. Montresor leads a drunken Fortunato through a series of chambers beneath his palazzo with the promise of a taste of Amontillado, a wine that Montresor has just purchased. When the two men reach the last underground chamber, Montresor chains Fortunato to the wall, builds a new wall to seal him in, and leaves him to die. 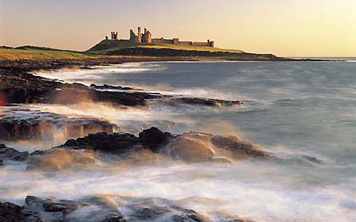 Several sources for the story have been suggested in the last century and a half: Edward Bulwer-Lytton's historical novel The Last Days of Pompeii (1843); a local Boston legend; a collection of Letters from Italy; and a real quarrel Poe had with two other poets. 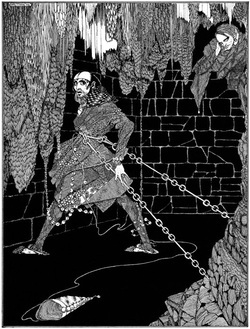 Wherever Poe got the idea and the impetus for ‘‘The Cask of Amontillado,’’ this story and Poe's other short fiction had an undisputed influence on later fiction writers. 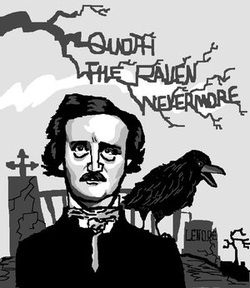 In the nineteenth century, Poe influenced Ambrose Bierce and Robert Louis Stevenson among others. Twentieth-century writers who have looked to Poe include science fiction writer H. P. Lovecraft and horror author Stephen King. "The Cask of Amontillado Study Guide - Edgar Allan Poe - ENotes.com." ENotes - Literature Study Guides, Lesson Plans, and More. Web. 06 Dec. 2011. Irony and "The Cask of Amontillado"
"Literary analysis: Irony in 'The Cask of Amontillado,' by Edgar Allan Poe"
"The Cask of Amontillado," by Edgar Allan Poe, blends every variation of irony as the author crafts a chilling tale of a monster, ironically named Montresor, beguiling a drunk named Fortunato into tasting a cask of nonexistent wine that he has stored in a catacomb. The names of the central characters are ironic beyond Montresor being a couple of letters from "Monster." Fortunato means the lucky or fortunate one. Montresor is French for my treasure. 1. Verbal irony involves saying one thing but meaning the opposite. Montresor is committed to the idea of killing Fortunato, so verbal irony drips from every word when Montresor, apparently worried about Fortunato's cough and the effect of the nitre-covered walls of his wine cellar, says, "You will be ill and I cannot be responsible." This is just one of repeated instances of verbal irony. 2. Irony of situation occurs when events turn out the opposite of what would ordinarily be expected. It is ironic that a man of misfortune should be named Fortunato. How fitting it is that the narrator has been able to put up with "the thousand injuries of Fortunato," but when his treasured name or reputation is insulted, he vows revenge. Also, a story titled "The Cask of Amontillado" leads readers to believe that such a wine container must exist. There is a black cat in "The Black Cat" and a pit with pendulum in "The Pit and the Pendulum." In this story, there is ironically no cask of Amontillado.. The murder's taking place during carnival season and the costumes the two men are wearing are also situationally ironic. 3. Dramatic irony is what we feel when we as readers or viewers of a story or drama know more than the characters or can interpret more accurately what they have to say. When Montresor repeats Fortunato's "Let us be gone," we understand a different meaning than does Fortunato. Summary: The narrator of this story, a remote third person, tells us the story of two dwarfs, Hop-Frog and Tripetta, who are ordered to help the fat king and his seven fat ministers celebrate a masquerade at court. Hop-Frog cannot tolerate alcohol, but the king forces him to drink. After the king has thrown wine in Tripetta's face, Hop-Frog sobers enough to say he'll make them all into orang-outangs for the masquerade, all the time planning his revenge for their brutality. At the masquerade he drags them up into the air and burns them alive in the costume. Commentary: Poe, of course, is famous for his nightmarish tales. In this case, the king and his ministers are so brutish, it seems appropriate for Hop-Frog to dress them up like animals for the masquerade. And we know from the history given us that Hop-Frog and Tripetta have been captured in a foreign land and sent to the king as slave-booty, so the dwarfs have legitimate reasons to try to free themselves and escape for home. But the entrapping of the king and his ministers in costume made of highly flammable tar and flax, their hoisting of the eight into the air and then setting them ablaze, all that seems extreme--even if understandable. Poe leads us to believe that Hop-Frog has been driven crazy by the cruelty of his king and ministers. Poe's work as an editor, a poet, and a critic had a profound impact on American and international literature. His stories mark him as one of the originators of both horror and detective fiction. Many anthologies credit him as the "architect" of the modern short story. He was also one of the first critics to focus primarily on the effect of the style and of the structure in a literary work; as such, he has been seen as a forerunner to the "art for art's sake" movement. French Symbolists such as Mallarmé and Rimbaud claimed him as a literary precursor. Baudelaire spent nearly fourteen years translating Poe into French. Today, Poe is remembered as one of the first American writers to become a major figure in world literature. 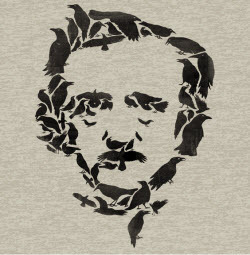 "Edgar Allan Poe." - Poets.org. Academy of American Poets, n.d. Web. 04 Jan. 2013. Is "Annabel Lee" a Ballad? 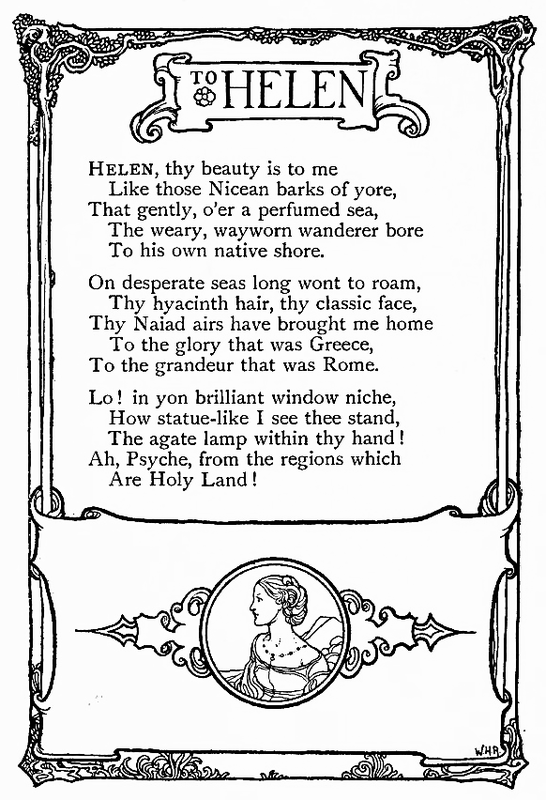 Ballad Definition: A narrative poem (a poem that tells a story) that was originally composed to be sung or recited. 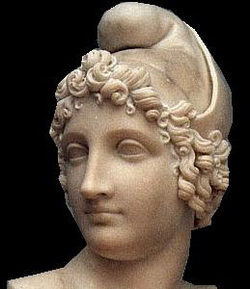 Step 2: Allusions to Classical Greece and Helen of Troy from the Illiad and the Odessey. Allusion: A reference to a person, thing, event, situation, or aspect of culture, real or fictional, past or present. An Allusion may draw from literature, myth, history, or the Bible.